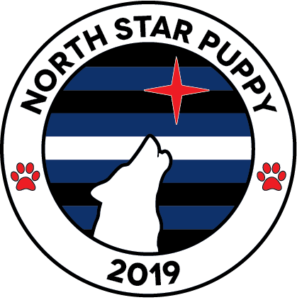 The foremost expectation of the NSPAH Titleholders is that they conduct themselves as a positive role model representing the Puppy & Handler community and North Star Kennel Club to other Pups, Handlers, and those who are curious about the lifestyle. Flagrant violation of this expectation may result in forfeiture of their title. Maintaining respectful and honest communication between Titleholder and NSPAH Producers throughout the year. Making honesty and integrity a priority at all times. Refraining from misrepresenting the Title, Titleholder, or Producers. Resolving conflicts privately, either in person or through private correspondence. Being cognizant when using social media as they are representing their Title and Producers. If they misrepresent the Title, Titleholder, or Producers, the Producers have the right to request removal of the post. The Titleholders may not compete in any other State or Local contests during their title year. The Titleholders are encouraged, but not expected to, compete in a next-level contest. The Titleholders are encouraged to represent their titles by attending other pup/kink events and contests as often as they are able. The Titleholders will be expected to attend the following year’s NSPAH Weekend and deliver a step aside speech during the final evening of the contest. If a Titleholder or the Producers determine that the Titleholder cannot fulfil their duties, the Producers may ask that the title patch and any other North Star Kennel Club property be returned.